RetroArch hits the PlayStation Portable today. RetroArch is the very popular multi-system emulator that many know from the PlayStation 3 scene and others. The Beta release supports various cores, namely tempGBA, fceumm, prboom and more. Future [break]. [/break]versions will support more cores as explained via the source below. More cores may be added in the future if they prove to be fast/stable enough to run on the PSP. Bios files go into the cores/system directory. For PSP slim/go, make sure you disable ISO cache, and enable high memory layout to allow access to the extra 32MB ram. (can be changed from your CFW menu ). You bring up the RetroArch main menu in game with the "note" button, the one left of 'select'. PS4 Has the PS4 been Hacked? Developer Andreas Oman has released some of the latest Bleeding Edge (Testing) updates containing some new improvements and features for the very popular homebrew Media Player.. There have been many changes under the hood as well as some PS3 specif changes like video now pausing when you bring up the In-Game (or In-App) XMB menu. This homebrew continues to evolve with the player and the vast amount of plugin's it offers that continues to grow checkout the logs below and more information about this app in the links provided below. Universal Media Server reaches version 5 today. The alpha build, which requires JAVA version 7 and upwards, adds universal plug and play support. Also in the mix is file name referencing via IMDB and HTML 5 support. [break]. [/break]Full changelog listed below. Developer littlebalup has stop by our forums today with a new release of his GUI for NORway/NANway/SPIway. in this latest update marked v2.02 there has been added compatibility with the latest USB serial drivers from PRJC. This now means that "Teensy USB Serial" driver now detected as well as the old one & would now give Windows 8.1 Support. See the full details below. GUI to run NORway, NANDway & SPIway scripts by Judges. ATTENTION : The use of this program is at your own risk! The author can not be held responsible for the consequences of its use. Simple GUI, written in VB.net and batch, to easily launch and work with the well known NORway, NANDway and SPIway python scripts by Judges for PS3 and PS4 hardware flashing using Teensy++ 2.0. Binary dumps comparison after dumps (if multi-dumps) with log file. Windows Vista SP2 + ".NET Framework 3.5 SP1"
PS3 Annoucement: A new official Rebug CFW Incoming Soon !!! It appears the official REBUG wait may be over, as a new REBUG CFW was announced to be released very soon to a PS3 Console near you. The REBUG Team has also announced an expansion with two new developer's joining the Rebug Team. At this time it's still a bit of a mystery of whom the devs are but should be announced when the new firmware is released. It's also unclear which version of firmware this version will be based on but if i were a betting man i would say it's a v4.65 REBUG CFW release. So stay tuned here at PSX-Place.com as we will bring you all the details when this CFW is released to the public. We have not heard from Team Rebug for a while, but we are please to announce they are busy on finishing up some super-duper new firmwares, and you will be more then enjoying just Turkey on your Thanksgiving dinner next month, you will be dusting off your CFW PlayStation 3 console and installing some updated Rebug firmwares, which will finally be Official instead of previous ones that were leaked and missing tons of key improvements. Following up on yesterdays article regarding the webkit exploit for the PlayStation Vita, developer Davee is back with some more good news. This time around it is for those who have purchased the recently released PlayStation Vita TV. If you have the little box on firmware 3.20 you are in luck as Davee [break]. [/break]has ported the webkit exploit to the device as shown in a Tweet some hours ago. Good news for psvita tv 3.20, it works now! Remember that you can test the exploit out via this link on your PS Vita TV. Don't use this bit, if you don't know what you're doing. The new recovery menu can be dangerous. Like CyanogenMod says, if you don't know what it does then don't use it. Some of the options are for 1k's and hack-able 2k's only. Although I've added a check to make sure it doesn't let you use that option if you're not on a hack-able PSP, you never know when something can go wrong. There might be a bug that can harm your PSP. This warning is just for the 'configurations' option, the rest can do no harm to your PSP. You can now update straight from your PSP's instead but this won't notify you. Whenever I relase an update, I'll post about it here and I'll also update the links on the server. Many thanks to my mate @Genetik57 for letting me use his server! 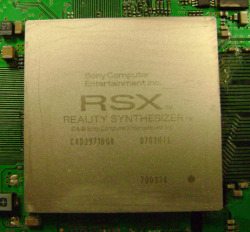 A while back the scene had seen the return of well known PSP hacker Davee when he released a tool called RopTool that could aid in ARM CPU hacking. The developer has now released a native exploit through Webkit that in its initial release only ran on firmware 2.60. The developer has now promptly updated the exploit to run on all firmwares [break]. [/break]up to 3.18. So if you updated to firmware 3.30 you are out of luck. The developer via his blog also gives credit where credit is due and mentions that the driving force behind this exploit comes from developers BBalling1, Josh_Axey and Archaemic. You can test the vulnerability on your Vita by visiting the link provided below and when executed correctly you should be met with a message that reads "Congrats, this vita is vulnerable". On some firmware versions it is reported that anything but error codes such as error: 1, error: 2, error: 3 is a good sign that the exploit is working. For example when the browser page hangs for a few seconds then refreshes. Developer BBalling1, aka Codelion, has also released his version of the exploit for firmware 3.18 which requires netcat. More about that can be found on his github page which is also quoted below. At first the exploit only supported 2.60, which happens to be the firmware my vita is on. The exploit now supports up-to version 3.18 and code execution demo with ROPTool will be shown over the next while. The PlayStation Vita came quite short with some News for this Month. But don't worry. Developer @TheFloW is still there and he has some very good News for your PlayStation Vita today.